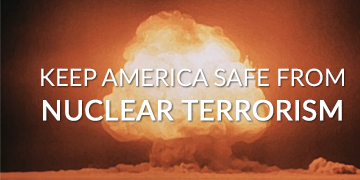 To better understand the current level of congressional engagement on nuclear security, PSA and ACA jointly undertook a first-ever study of congressional staff attitudes and beliefs about the issue. This study specifically targeted congressional staff responsible for national security and foreign policy issues, including nuclear security. Information was gathered through 20 in-person interviews, 107 digital survey responses, and a 10-person focus group. Based on the study’s findings, Empowering Congress on Nuclear Security: Blueprints for a New Generation provides a data-driven foundation from which programs can be developed to help close detected gaps in congressional understanding and identify opportunities to enhance congressional engagement. It also offers specific action items for Congress that present opportunities for leadership in enhancing U.S. nuclear security efforts. https://www.psaonline.org/wp-content/uploads/2018/07/Newsy_Featured.png 684 845 sermonis https://www.psaonline.org/wp-content/uploads/2015/12/logo-psa-web.png sermonis2018-07-30 15:38:342018-11-26 20:46:48The US Needs Better Nuclear Security. Can Congress Handle It?